GATE(Graduate Aptitude in Engineering) is one the most important and in-demand entrance exam for engineering graduates in our country. Geeksforgeeks is here to guide you through the GATE Computer Science Engineering preparation. 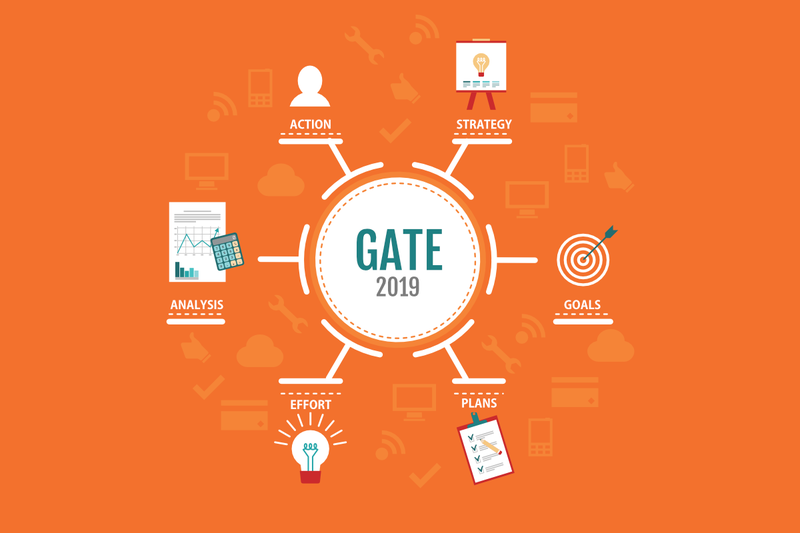 See – How to prepare for GATE 2019. Geeksforgeeks brings you the Complete GATE preparation course Sudo GATE, which will help the GATE aspirants to boost their GATE score and AIR. Sudo GATE an extensive Online Test Series for GATE CSE to boost the preparation for GATE 2019 aspirants. Test series is designed considering the pattern of previous years GATE papers and ensures to resemble with the standard of GATE. Question papers of Sudo GATE are designed by experts as per the revised syllabus of GATE 2019 and meet the quality of GATE questions. Subject-wise Tests: Sudo GATE consists of 19 subject-wise test. Each test will have 15 questions, with time limit of 30 Minutes. Test series I will contain subjectwise questions with easy and medium difficulty. Whereas Test series II will contain Expert level questions. Mathematics and Aptitude: Considering the marks weightage of Maths and aptitude, there will be 25 questions in each test. Aptitude section will contain both Verbal and Quantitative questions. Mock Tests: There will be two full length Mock test, consisting 65 questions with 3hrs. time limit. Subject-wise practice tracks: Solve the specially designed subject-wise practice tracks, consisting previous years GATE questions. We highly recommend solving these question before attempting the subject-wise tests. Tracks are designed with GATE questions in increasing complexity order. Learning while solving: Question will cover the concepts in such a way that it will help GATE aspirants to get clearer insight of the concepts. Also, detailed explanations will be provided after the completion of test. It will help the aspirants to improve the weak concepts and understand problem-solving techniques. Focused on subjects with more marks weightage: Questions will be focused on high weighted topics and subjects. 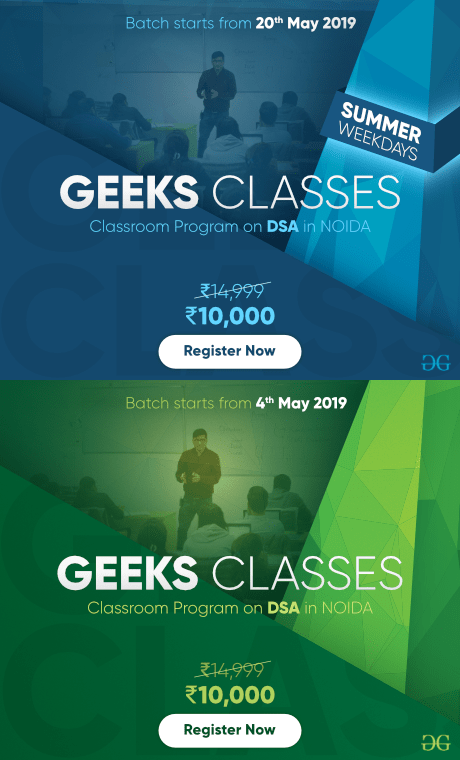 Sudo GATE Test series is designed considering the pattern of previous years GATE paper and revised syllabus of GATE 2019. Resembles with GATE questions: Test papers are designed by a team of experts, in order to meet the quality of GATE questions. Solving these question will help students to overcome the weaknesses and perform better in actual paper. DBMS 1 Easy & Medium Nov. 01, 2018 15 30 Mins. Operating Systems 1 Easy & Medium Nov. 05, 2018 15 30 Mins. Computer Networks 1 Easy & Medium Nov. 09, 2018 15 30 Mins. TOC and Compiler Design 1 Easy & Medium Nov. 13, 2018 15 30 Mins. Programming in C and Data Structures 1 Easy & Medium Nov. 17, 2018 15 30 Mins. Design and Analysis of Algorithms 1 Easy & Medium Nov. 21, 2018 15 30 Mins. Computer Architecture and Organization 1 Easy & Medium Nov. 25, 2018 15 30 Mins. Digital Logic Design 1 Easy & Medium Nov. 29, 2018 15 30 Mins. DBMS 2 Expert Dec. 03, 2018 15 30 Mins. Operating Systems 2 Expert Dec. 07, 2018 15 30 Mins. Computer Networks 2 Expert Dec. 11, 2018 15 30 Mins. TOC and Compiler Design 2 Expert Dec. 15, 2018 15 30 Mins. Programming in C and Data Structures 2 Expert Dec. 19, 2018 15 30 Mins. Design and Analysis of Algorithms 2 Expert Dec. 23, 2018 15 30 Mins. Computer Architecture and Organization 2 Expert Dec. 27, 2018 15 30 Mins. Digital Logic Design 2 Expert Dec. 31, 2018 15 30 Mins. Discrete Maths (Propositional Logic, Set Theory and Algebra, Combinatorics, Graph Theory) Medium Jan. 04, 2019 25 40 Mins. Engg. Maths (Linear Algebra, Probability, Calculus) Medium Jan. 08, 2019 25 40 Mins. Aptitide (Numeric & Verbal) Medium Jan. 12, 2019 25 40 Mins. Mock Test I (Full Length) Expert Jan. 21, 2019 65 180 Mins. Mock Test II (Full Length) Expert Jan. 25, 2019 65 180 Mins. All the tests are scheduled periodically as per above given details. Subject-wise practice tracks will be available from Oct. 25, 2018. Ques. How can I register for Sudo GATE? Ans. Visit the given link to register for Sudo GATE. https://practice.geeksforgeeks.org/courses/sudo-gate . 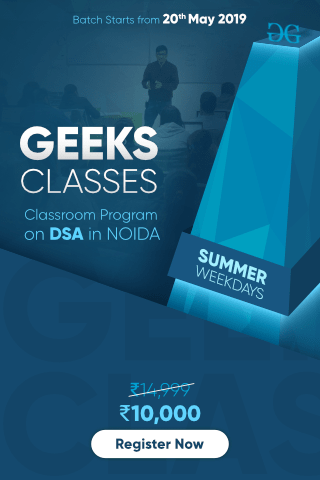 In case you are not registered with Geeksforgeeks, you have to create your free account here in order to register for this course. You can also SignIn using Google/Facebook. Ques. What I have to pay for these Test series? Ans. You just have to pay your efforts and precious time. 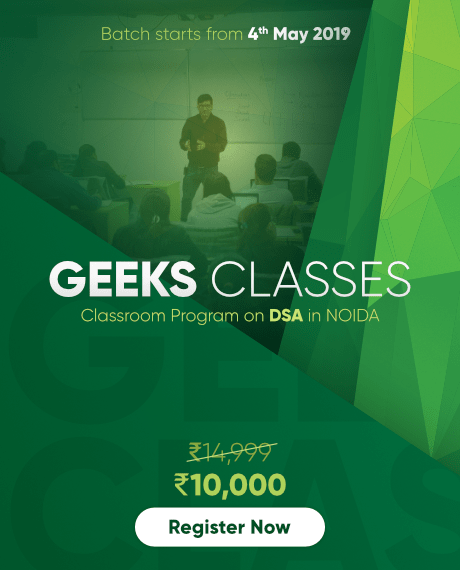 Yes, Sudo GATE is completely Free of Cost course with intention to help more and more GATE aspirants. Ques. Do these tests have predefined schedule? Ans. Yes! Both subject-wise tests and Mock tests are periodically scheduled. You may visit the above-given schedule table. Schedule and other descriptions are also given in Sudo GATE course page. Ques. What are Subject-wise practice Tracks? Ans. Subject-wise practice tracks are nothing but already asked GATE questions, but designed in a well-organized order. Questions in the Tracks will be arranged based on the topic and complexity, which will very useful while solving. Practice tracks will be live from Oct. 25th, 2018. Ques. Will I get solution after attempting the Test? Ans. Yes, We will provide detailed explanation after the test completion. This will help the aspirants to clear the doubts and improve problem-solving skills.